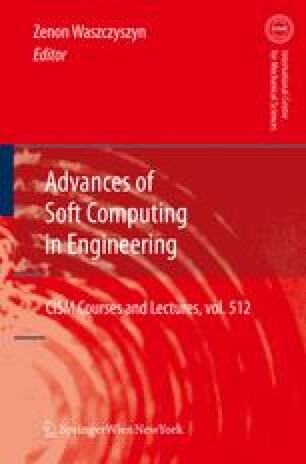 The chapter covers two main areas, these being an introduction to the technology and techniques associated with genetic algorithms and then the second part looks at how genetic algorithms can be used to search for good topological solutions to engineering design challenges. The start of the chapter places genetic algorithms in context compared to other evolutionary algorithms and also describes the reasons why genetic algorithms are potentially useful. This is then followed by a look at the concept of a search space. Section two looks at the canonical genetic algorithm as a basic introduction to the technology and includes an examination of the main techniques used to encode the genome, fitness functions, operators and selection. Section three looks at how genetic algorithms can be used for design and chooses the specific example of the conceptual design of commercial office buildings. Section four introduces the basic concepts of topological search and explains how having the right form of representation is vital before looking at example relating to structural components and the design of domes using a genetic algorithm linked to computational geometry techniques. The final section then looks at further methods using generative representations and generative geometries as possible solutions to the need to develop powerful forms of representation for handling topological search in genetic algorithms.